Universities across the globe face different crises on a daily basis. The media has reported on everything from campus shootings and riots to hazing, hate crimes or another similar critical situation that can result in students feeling uncomfortable and in danger. 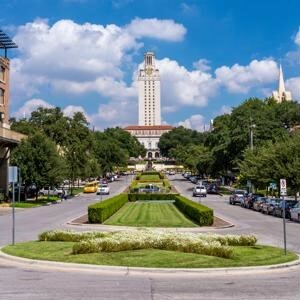 Institution leaders must learn how to respond effectively and recover from such events to keep students, faculty and staff safe while ensuring family and friends off campus remain calm and confident that the university is handling the situation. Unfortunately, not all crises are preventable and most can happen at any given moment. However, there are ways to prepare for the unavoidable. Communication during a disaster is key, and familiarizing yourself and your institution with a crisis communication management plan can help you stay prepared, proactive and practical if something goes wrong. You need a core team of trusted individuals to handle communications in the event of a crisis. According to the American Council on Education, oftentimes when institutions don't know how to respond, they have individuals who are unaware of the campus plan leading the communications and acting on impact. Identify and build a PR team that proves they know how to respond by delegating roles and asking them to develop a solid plan based on expected responsibilities. You won't have time to think about how to respond when a crisis occurs - you need to be prepared in advance. Mapping out potential responses to different scenarios, such as disorderly student behavior that results in a campus lockdown, allows you to be proactive and develop the most effective solution before the problem arises. Communicating in a timely manner is critical, but only when you're sharing the right information. Recognize the key elements of the message before releasing a statement that includes false information. Once you have created your final statement, release it to the individuals that it directly impacts, such as the faculty, staff and students, followed by family members and community off campus. Using an effective media monitoring system can alert you quickly to what the public is saying about the situation, which can help you craft an appropriate response. Social media can be an effective and efficient communication tool during a crisis. When creating your communications team, make sure you assign social media management to one or two specific people. These individuals should have access to campus social media accounts, as well as other mass notification systems, and understand when it's appropriate to make use of them. It’s important for these team members to continue to monitor the conversation and engage where appropriate. When all is said and done, it's important to remember to be compassionate after your institution experiences a crisis. Everyone handles critical situations differently, and the university stakeholders need to keep the feelings of the members of your community in mind when dealing with the situation and releasing sensitive information. With these tips, your university can learn to cope with a crisis and keep the community safe and well informed.